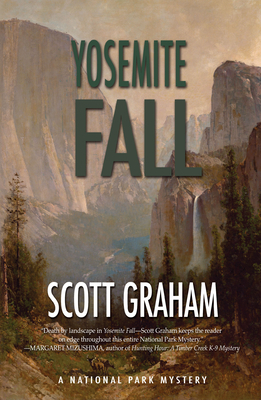 "Graham's winning fourth National Park mystery uses Yosemite as a backdrop for a host of shady dealings and dangerous power struggles. ...The archaeological work depicts how settlers unjustly blamed Native Americans for devious actions, and the blending of elements never feels clunky. This zippy tale uses lush descriptions of natural beauty and twisted false leads to create an exciting, rewarding puzzle." Archaeologist Chuck Bender arrives with his family in Yosemite Valley to study the 150-year-old murders of a pair of gold prospectors in the midst of preparations for the annual Yosemite Slam rock-climbing competition and a reunion with his old climbing buddies. The trip quickly turns threatening when one climber never shows up, climbing equipment fails, and Chuck and his spouse, Janelle Ortega, are suspected in the shocking, present-day death of one of Chuck's former rock-climbing partners. Together, Chuck and Janelle race against time to solve the dual mysteries and prove their innocence--all while facing down a ruthless killer on the loose. Scott Graham is the author of eight books, including the National Park Mystery Series from Torrey House Press, and Extreme Kids, winner of the National Outdoor Book Award. Graham is an avid outdoorsman who enjoys mountaineering, skiing, hunting, rock climbing, and whitewater rafting with his wife, who is an emergency physician, and their two sons. He lives in Durango, Colorado.